"Anthropologie is a destination for the creative, worldly woman". Buttercrumble partnered with Anthropologie to celebrate creativity, a skill their customers truly value. Together, Chloe and Abigail (the twins behind Buttercrumble) introduced retail theatre through illustration workshops at their Leeds store. It was a nurturing and inspiring experience for all participants involved. Participants were greeted and received an illustration demonstration and presentation about letter-writing. Participants were able to select an array of unique stationery provided by Buttercrumble. They then spent up to 90 minutes, crafting, writing and decorating their special letters. Everyone received a postage stamp in order to send their happy mail on its way at the end of the workshop. We wanted to spread a little kindness with Anthropologie's customers and their friends. The workshop revolved around wellbeing and the benefits letter-writing and illustration can have. Guests could send a letter to themselves containing personal goals or they could reconnected with a friend. Whatever they decided, they could imagine the recipient’s joy as their happy mail landed on their doormat. "Put pen to paper and capture your feelings, memories or life in writing. When writing your letter, think about who you'd like to write to and why. Share a lovely moment with them - they're bound to thank you for it. Enjoy this process of self-expression and imagine how the recipient will feel when they open the letter in the future. Let it encourage you to spread a little happiness every day". Participants were greeted and received a fun demonstration about how they could create their own paper doll. Each participant coloured in their paper doll worksheet before cutting it out and assembling it. Participants sealed their paper doll in a clear gift bag for them to take home safely. This experience allowed guests to express their creativity and style. 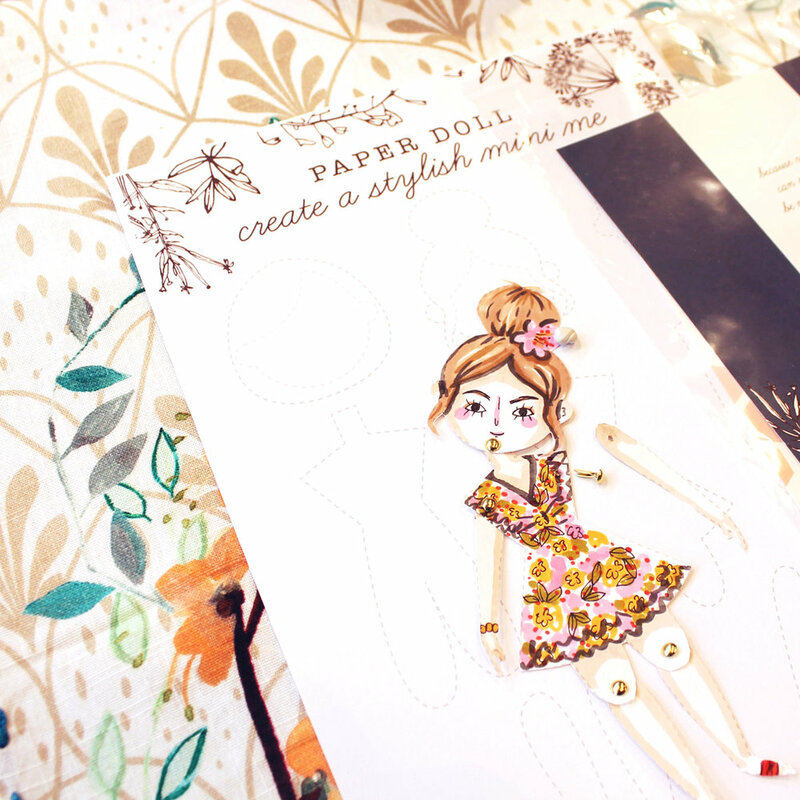 We guided attendees through the creative process allowing them to illustrate and produce their own stylish paper doll to take home and treasure. 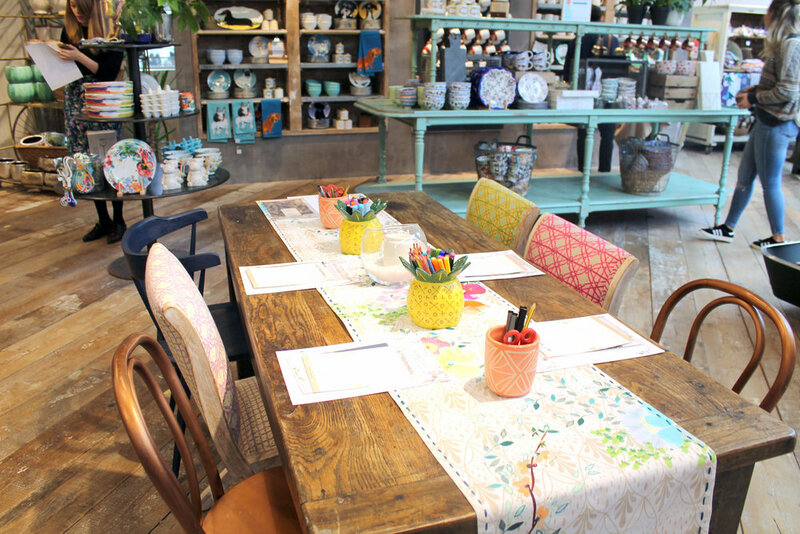 The experience encouraged participants to be inspired by the fashion and homewares in Anthropologie. The stylish packaging we designed to hold each Paper Doll. The bespoke worksheet we designed for Anthropologie. The importance of taking the time to be creative and connect with other is clear. It leads to a happier and more fulfilled lifestyle. By encouraging customers to take the time to illustrate or craft, we were able to incorporate more mindful time into their day. Guests always left feeling positive and relaxed. This elevated Anthropologie's brand awareness and placed them in the hearts and minds of their customers who matter. Participants will now associate the brand with kindness and creativity.